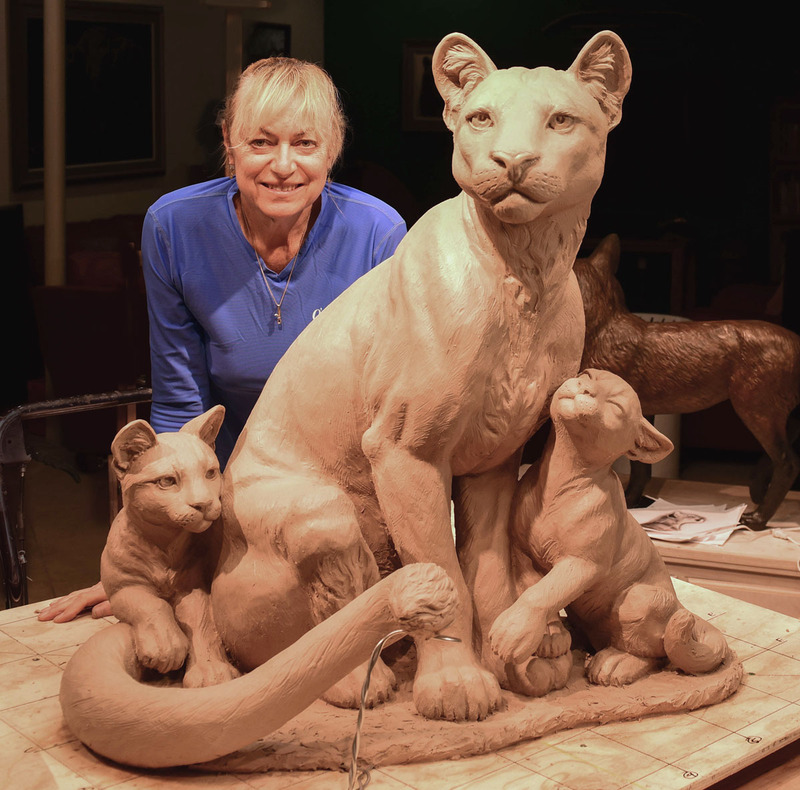 This life sized mountain lion with her affection and curious cubs was created for private clients in the beautiful valley of Paradise, Utah. The title is “Mountain Love” . Once the mold making and foundry process is completed, it will be available for a total of 12 limited edition castings this Spring. I drew upon my own experiences observing these magnificent cats on our own property. They are elusive around people for the most part, with the females showing extreme tenderness to their young.